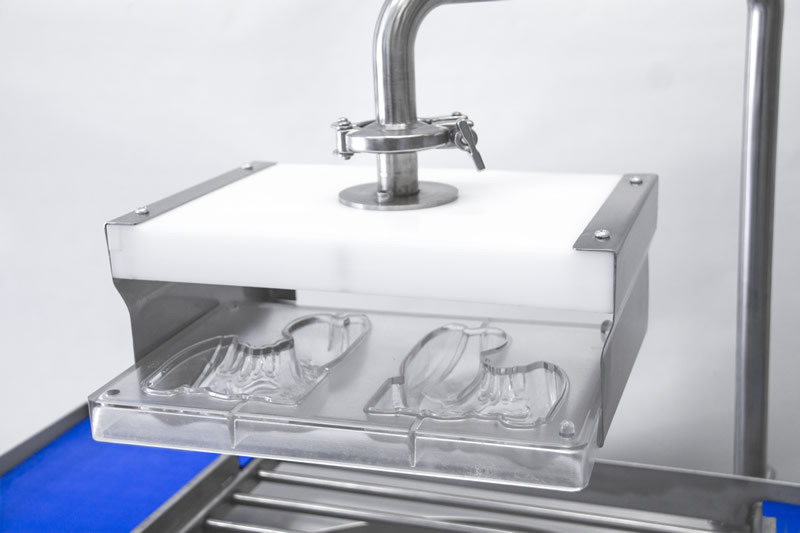 This depositing head has been designed specifically to work with low viscosity (fluid) chocolates or other fat-based masses. The depositing head can be fitted to any INFINITY Series machine and is supplied with one depositing plate custom-made to suit any mould specified by you. It is suitable for use with standard polycarbonate moulds measuring either 275 x 135 mm or 275 x 175 mm.